Get the kids and grandkids outdoors and playing! 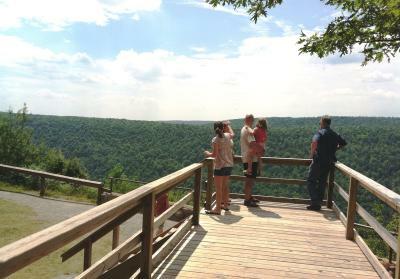 Your Finger Lakes vacation will be all the better for it - we promise. Parks and playgrounds are plentiful throughout Ontario County. We&apos;re in the country so there are beautiful, wide open spaces that not only help the youngsters burn off excess energy, but also to help you recharge. Our family-friendly parks and playgrounds offer more than just picnic tables and swing sets. Of course we&apos;re the Finger Lakes so we have water. Take a swim in Canandaigua Lake at Onanda Park, or a spray shower at the Sprayground at Seneca Lake State Park in Geneva. Play disc golf by Seneca Lake at Lakefront Park in Geneva or brush up on your tennis or basketball game at Mertensia Park in Farmington. Shuffleboard is more your speed? 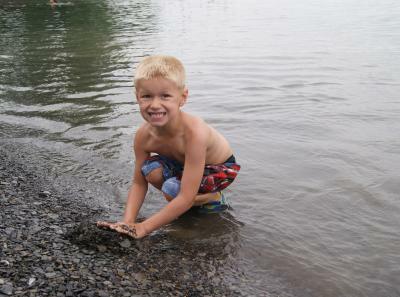 Bring it on at Sandy Bottom Beach on Honeoye Lake. We hope your kids are begging you to stay and we also have the right answer for you. Some of our parks, such as Onanda Park and Ontario County Park at Gannett Hill, invite you to camp overnight in a tent or cabin. Read the listings below to figure out the perfect park and playground for your family diversion in the Finger Lakes.